Learn the Lesson and Let Go! Because the lunar year cycle begins at the start of Aries next month, this month of Pisces prepares us for a spiritual rebirth that can make way for new blessings. One powerful way to ready ourselves for this new beginning is by using the sensitive energy of this month to let go of our past, specifically those events in our lives that seem so unfair to us. It’s easier to take responsibility when we see clearly that we are involved in the creation of our own chaos, but sometimes things happen in life that feel unjust. Maybe we recently lost someone close to us, or were abused as a child and are still suffering from abusive patterns. Whatever the case, there are moments for each one of us that don’t seem like a direct result of our own actions. Pisces gives us the strength to let go of that baggage. This month awakens our intuition, as we all become a little like a Piscean, who are natural born navigators of the spiritual system. We can take advantage of this opportunity by choosing to dig deep and feel the pain from our past that we usually keep at bay – but not for the purpose of being a victim. On the contrary, we go into the wound so that we can learn the lesson it was meant to teach us, rechart the course and become victors instead of victims. Now we can move on. 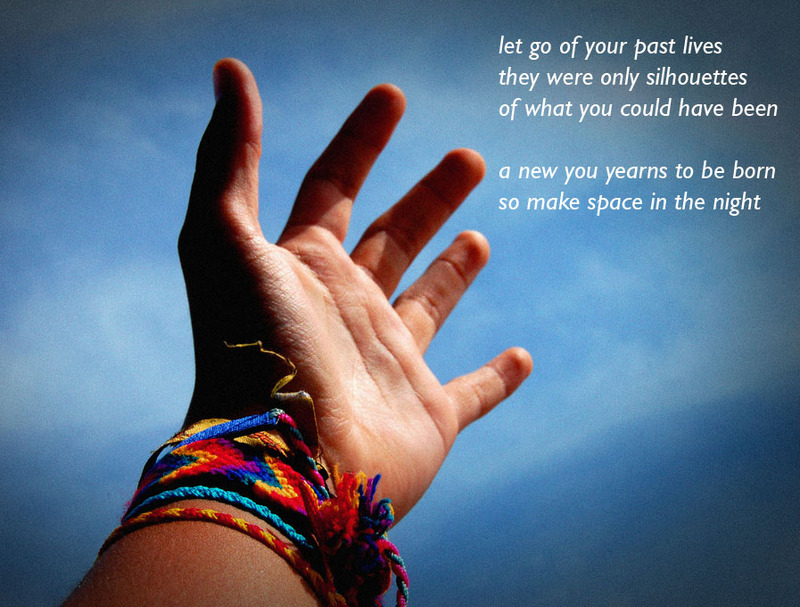 Learning our lessons and letting go of our past opens us up to all the universe has to offer in the present. By using the power of Pisces to remove any dark clouds of hurt or emptiness, we are given the chance of a real new beginning when Aries arrives next month.